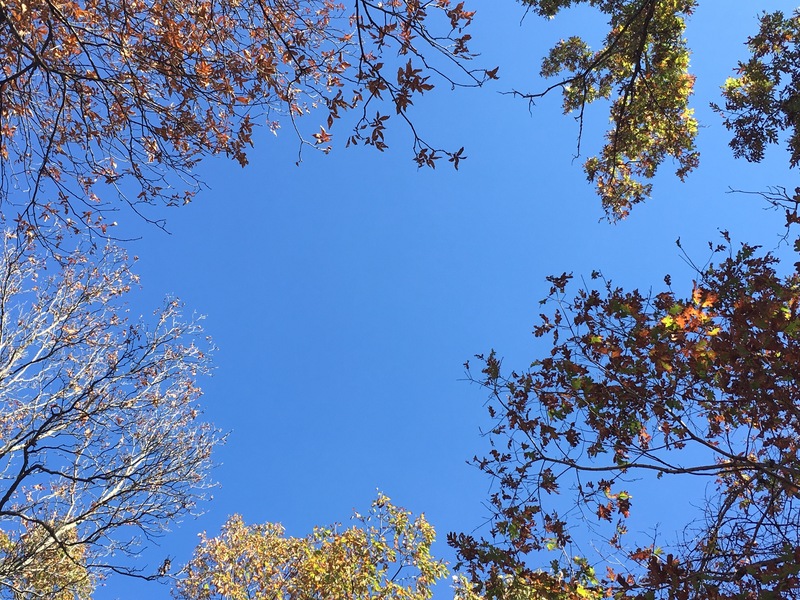 Alright, so I’m breaking off from my Writing Wednesdays because I had to share how God worked on our 4-Wheelong trip at the beginning of November. Yes, I am that kind of Kentucky girl. A weekend of primitive camping (aka no running water, no electricity, no bathrooms) and taking my brother’s Jeep Wrangler and an ATV through trails wrought with rocks, ruts, mud pools, and hills that make you lose your lunch. But to be honest, as much fun as it was, there were some scary moments. And as with death, those moments came in threes. My hubby flipped the ATV while trying to come up over a hill at a corner. I watched it tip and then roll over with his head bopping in and out of view. My heart stopped beating and jumped to my throat. I was out of the Jeep running for him within seconds. Praise the Lord, Travis jumped clear. An angel must have pushed him out of the way because it looked bad as I ran to him. We rolled the ATV back over and off we went again. So, as tomboy as I am, I have never actually driven an ATV. I have ridden but never driven. This trip was my first time and while acclimating myself in the playground area, I decided to tackle a hill that was common of the ones we hit on the trail. 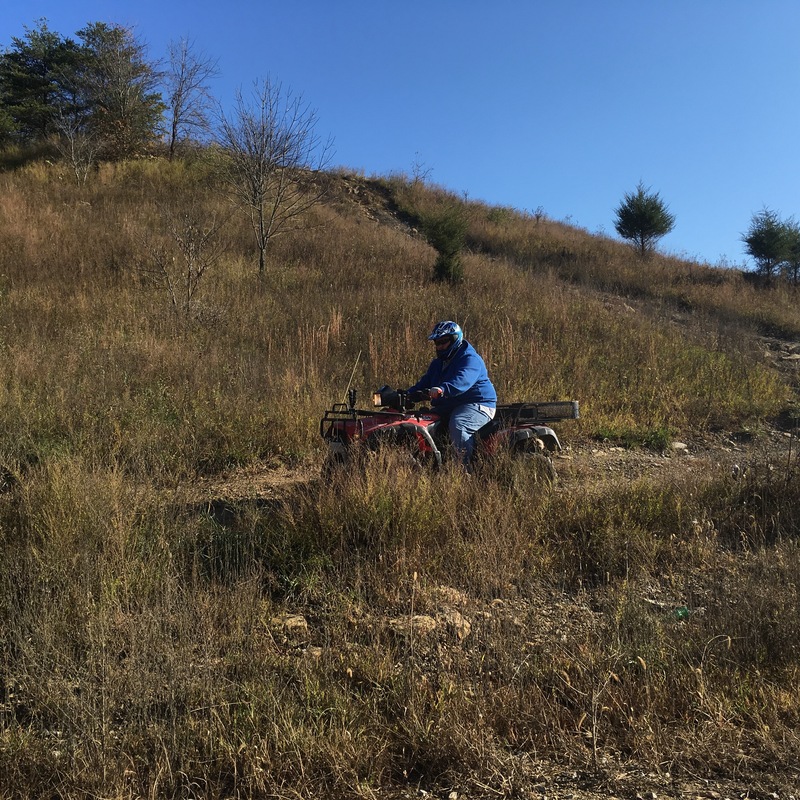 Steep and deeply rutted – and pure stupidity on my part. I made it three quarters of the way up along the deeply rutted path. My leg brushed against the wall of mud and the world began to tilt. I shifted my weight and gave it a little gas…and then the ATV stalled. The weak hand breaks could do little to stop or even slow the rapid retreat from the top. I fumbled but never found the foot break. Jerk reaction made me stick my foot out as it tilted precariously far, even though I knew it would not stop the roll and would result in a broken leg at best. Hitting top speed as I rolled down hill the ATV suddenly swerved and backed up on a rut and stopped half way between a roll and a tilt. I was still a quarter of the way up from the bottom and my husband abandoned the Jeep to come to my rescue. He talked me through what I needed to do, assuring me that it was more dangerous to just back it up the rest of the way than to finish out the hill. Through his help, a whole hoard or angels, and God’s grace I made it to the top and promptly handing the ATV over to my hubby for the rest of the trip. Don’t worry. Fear won’t keep me from getting back on, but I need some time on a farm with some flatter land to learn more before I tackle the trails of this weekend. At the end of the trip we tied down the ATV to our trailer and had my brother and our kids follow behind us onto Interstate 64. Not a quarter mile off of the on ramp, the straps snapped and the ATV fell off the trailer and bounced onto the highway. My brother slammed on the brakes and missed hitting the ATV. Instead of crossing into traffic the ATV rolled off the road up an embankment and back down onto the shoulder. No on was hurt. No vehicle on the interstate was hurt, and most miraculous of all? The ATV had no damage. Did I mention we borrowed the ATV from my husband’s uncle? Simply amazing. So while we were out enjoying a weekend of off-roading, our angels had an exciting weekend of miraculously keeping us safe – and taking the ATV for a joy ride. As we like to say, God is good all the time and all the time God is good. How have you seen God work in your life this week? P.S. Enjoy some of the pictures and videoes from our weekend!